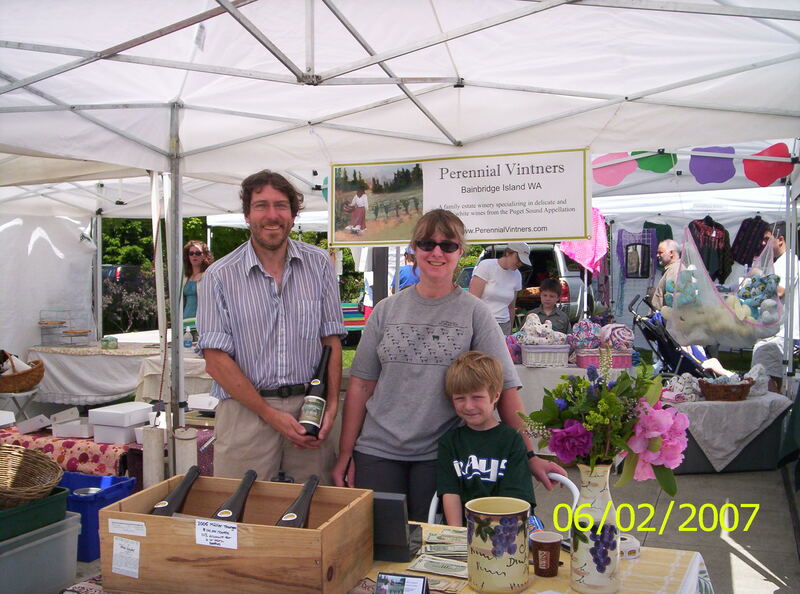 From the beginning, we had planned to have a Perennial Vintners booth at the Bainbridge Island Farmer's Market. 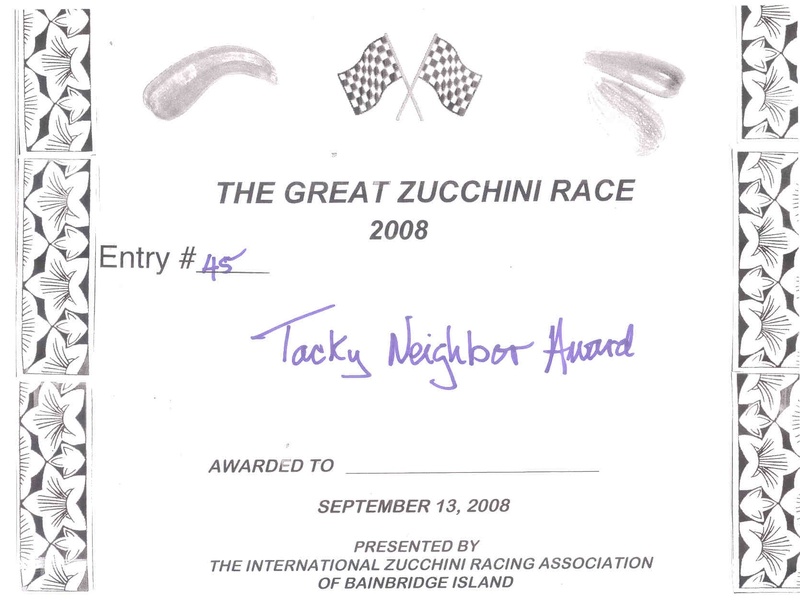 This proved more difficult than we'd expected as we were required to get a special "endorsement" from WSLCB in order to sell at any farmer's market. I filled out the paperwork, but it took about 2 months before we got it back, by which time we had missed the first month's markets... This really wasn't that big a deal as for 2007 we had only intended to be at one market per month anyways, so we only missed one. Our first market was the Summer/outdoor market 02-Jun-2007. 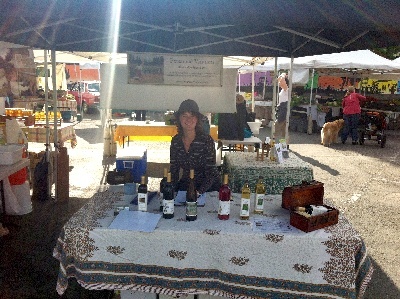 The weather was wonderful, we had a great time and sold some wine! 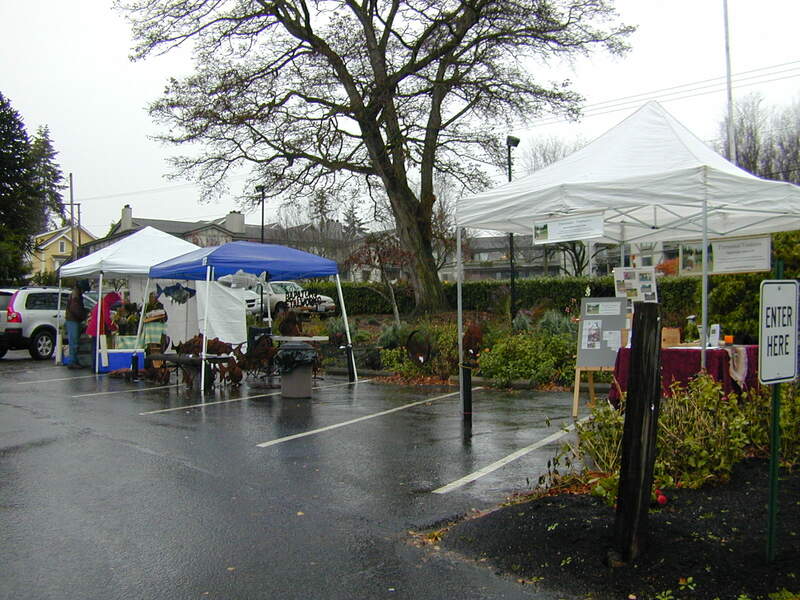 The BI Farmers Outdoor Market closes for the season mid-October and reopens as the Winter/indoor market in November. We were also at many of the Winter indoor market days. 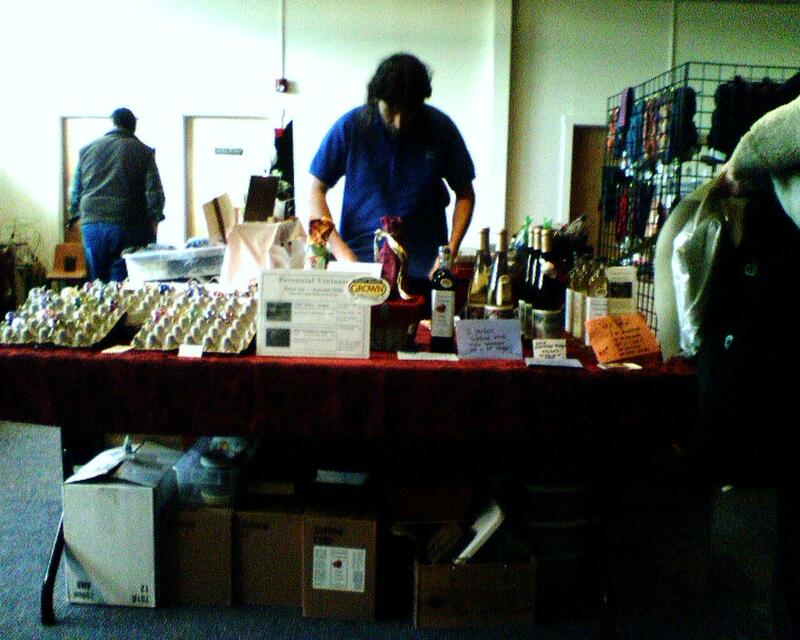 Our first day, for some crazy reason I decided to be amongst the die-hard vendors who setup up outside in the parking lot... Yes, this was the day it snowed, which turned into that massive rainfail (5-9 inches in 24hrs). Our booth has a lot of leaflets and things that aren't good with getting wet in blustery rains... Fortunately the weather didn't turn too lousy until just about market closing time. 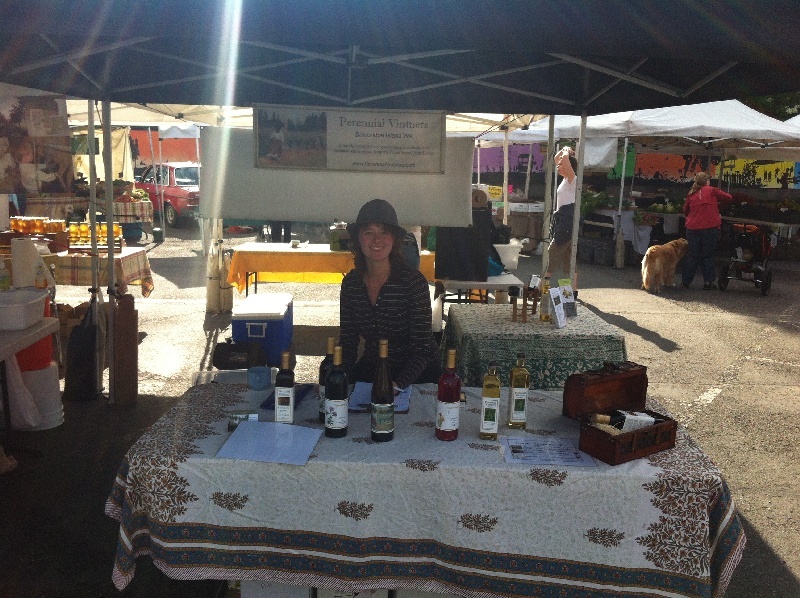 We'll be inside for all future Winter markets! 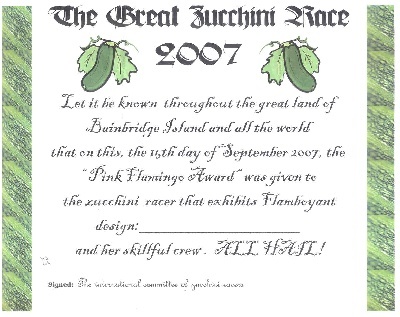 The BIFM has held a (believe it or not) zucchini race each year for about 15 years now. 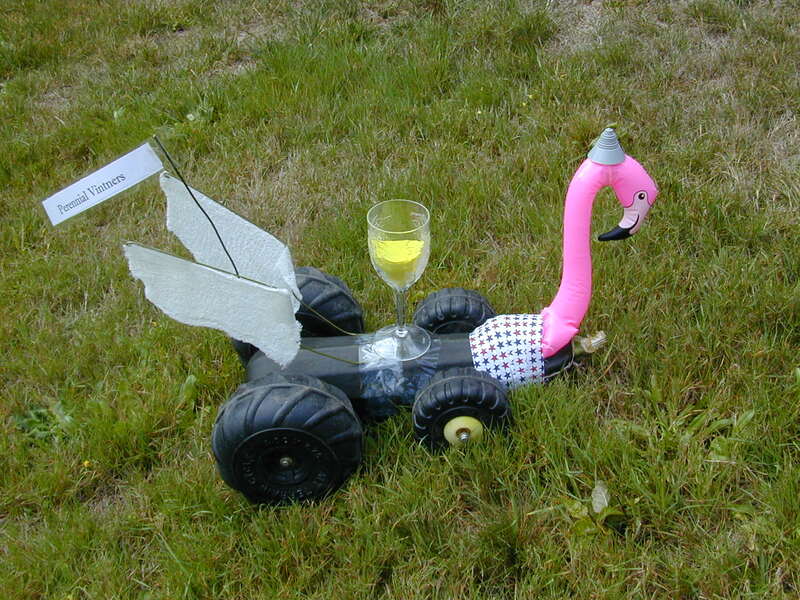 Perennial Vintners has had an entry for the last 2 years... 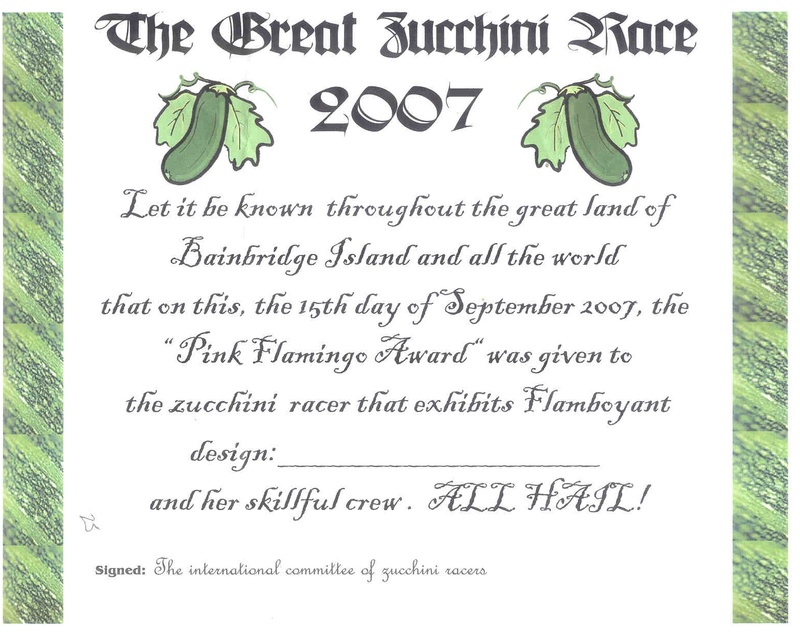 There are several videos available of the madness, go to YouTube.com and enter "bainbridge zucchini" into the search box -- the one from 2006 is very good! 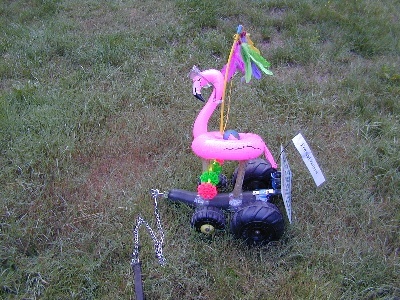 (full size image, 466Kb .jpg) Our entry from the race 2007. (full size image, 456Kb .jpg) Our entry from the race 13-Sep-2008. 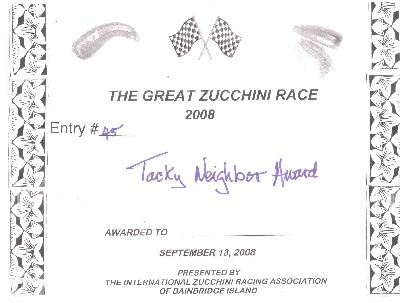 (full size image 292Kb .jpg) "Tacky Neighbor Award"
(larger image, 30Kb .jpg)Mike launching racer 13-Sep-2008.